White label web development is something that has a very significant place on the contemporary IT market. Coming across good and experienced web developers in UK and globally is not such an easy task. The majority of the quality staff is already engaged, and expanding your internal resources is not an easy task. In most cases you have either to overpay the experienced staff or to hire less experienced people and invest in their training. This often backfires as they tend to move on after they expanded their knowledge base, and that brings you back to the very beginning of the process. The same issue is present if you run a digital marketing agency. The only difference is the profile of the employees. So, is there something you can actually do in order to avoid this infinite loop? Yes there is! The option that offers work the best means hiring a white label web design services agency or marketing agency that is willing to do the work without putting their signature on the project. In this manner you are able to provide the top quality service to your clients using someone else’s resources! The entire operation with a web development agency is carried out through the web design contract, so you are able to get every segment of it covered in legal terms. This approach can be applied both for ad-hoc projects and to continuous operations. Many of the leading web development agencies use exactly this approach! They create contacts with white label service providers and use them on a regular basis. Same is being done with businesses that wish to outsource their IT and web development departments rather than to create internal resources. We at Studioworx have a huge experience in this field as we have been used by various other digital and marketing agencies for their projects in various segments of the business. In most cases we have been hired to design a website for the 3rd party that has a business relationship with our partners. Consulting the experts about your project is always the very foundation of a successful online endeavour. This segment is extremely important for both companies who wish to take their business online and for the web development and web design agencies who have the resources to do the work but lack the knowledge about best practices. We are just an ideal solution for these issues! We have a huge portfolio of clients, and servicing those clients led us into the position to simply have to understand the market perfectly. The direct result of such situation is that we obtained a solid knowledge in all segments of the market. We can easily help you identify the platform for your operations, proposing the solutions that would be the best for you and not best overall. In this manner, we can help you protect yourself from overspending, yet retaining the ability to carry out the business in the manner you intend to. Savings in this segment can easily reach five to six digit values and that is something that definitely makes an impact. Furthermore, we are well aware of all the latest trends concerning the designs that work, the developments that could impact your business the most, and the marketing strategies that would produce the largest effect compared to the investment. With all these variables accounted for, you will be able to get a better grasp on everything that is required in order to succeed! Web development services are often outsourced, and that happens because of two major reasons – either a company does not have any free resources at given time, or they lack expertize to provide full service to their clients. Web development agencies and digital marketing agencies are mostly involved in such operations. The main issue with this approach is finding the subcontractor that is reliable, has the necessary expertize, and can provide services at the level required. Lately the market is simply flooded with mediocre or even weak agencies that offer white label web development services and that tends to make things a tad complicated. Simply – there are too many interested parties, but not that many agencies that are able to provide quality work. Additionally, there are a lot of malicious people who actually run such operations with the sole purpose to hassle and obtain illegal financial benefits. In order to avoid getting involved with such companies, you need to rely to the tried and tested agencies that already have significant experience and reputation in white label projects. We have provided help in this segment countless times and to numerous clients on a global scale! Since the very beginning of our company, we were focused on web development in various forms. We had the chance to test our skills in almost every segment of the business, using almost every framework, and under various platforms. Our team consists of developers that have dozens of projects under their belt, and we have been doing white label projects from the very beginning. Within our portfolio we have countless websites developed in various ways. We are able to provide web development services that include native technologies, various content management systems, and various eCommerce platforms. Concerning native development we have been developing using various frameworks. Our full stack developers are capable of working in every single segment of any web development operation, under most common frameworks. We also have a team of developers that are narrowly specialized in front end operations. They had the chance to work not only with native technologies, but also with numerous CMS and eCommerce options. A lot of our projects were related to platforms such as Magento, Volo Commerce, Big Commerce, and many others. As a UK based web agency, we had the chance to work with clients from all over the world. In each and every of our white label web development cases we managed to complete the job we have been entrusted with, and to deliver respecting the highest standards in the industry. We have over 600 web development projects in our portfolio thus far. Many of them include storefronts based on Magento, Volo Commerce, and Big Commerce platforms. Website design requires additional resources from the creative department and that is something that is often the largest problem to all companies who wish to run things internally. Simply – there are not too many people whose creativity complements their knowledge of the market and that often results in projects being done with great creative touch and very little usability, or vice versa. In these cases white label web design is the solution! We at Studioworx are proud to say that our designers make one of the best UK web design teams today! Our graphic and web designers have all the knowledge you may require, and are up to date with the latest trends in the industry. Their skills are constantly tested and improved through new projects. The artistic capabilities they bring are perfectly matched to the specific tasks you might require and the end result is always something that draws attention. We have been involved in various web design projects over the past few years and we got the chance to be involved in every segment of the market, from corporate websites, via standard online stores, to eBay storefront design. Since we are in a constant touch with the latest trends, our projects always evolve in quality. We stick to the same values as it is the case with the white label web development services, thus we manage to maintain high customer satisfaction at all times. Marketing is always one of the most complex segments of any online operation. The variables included in a successful marketing campaign, especially in eCommerce - are simply overwhelming to most, and every single mistake in this segment can be very costly. SEO/PPC – Running a proper SEO campaign is the very backbone of online marketing. Search Engine Optimisation gives you the visibility and the organic traffic that results in the best investment to turnover ratio! We know exactly how to devise proper strategies to put you ahead of your competition and reach as many potential customers as possible. Pay Per Click campaigns are a complementary segment to the SEO and we are able to help with those as well. SMO – Social Media Optimisation is another segment of online marketing that needs to be used in order to maximize your efforts. Simply, the social networks became one of the most important sources of traffic, and we know how to help you utilize them on several levels. We are able to devise and run your Twitter, Facebook, Instagram, Pinterest, or LinkedIn campaigns in a way that will produce the optimal results, and we can do it as a managed service with or without paid advertising. Direct marketing (NL campaigns) – Direct marketing involves periodical or campaign focused Newsletters that are designed to directly offer or promote your services or products. We have the capacity to combine our marketing and web design resources in order to produce newsletters that will be the most effective and will produce best results possible! Additionally, we are able to devise a strategy for collecting subscribers that will increase your regular audience. There are several ways in which this could be done, and we are able to provide consultancy on these issues. Managed services and Customer Experience are fundamental part of any eCommerce operation. These segments are used to actually serve the customer, operate the stocks on the eCommerce platform, and manage all other aspects of support (returns, reclamations… etc.). Studioworx does not provide these services directly, but we do have connections to the specialized agencies that cover exactly this segment of business. Through partnerships with companies such as Tyme Online, Trojan or eManaged, we are quite capable of providing you with the complete service for the entire operation you intend to carry out, regardless of its size. Taking all mentioned into consideration, it becomes clear that through the cooperation with Studioworx you will be able to deliver whatever services you need when it comes to online realm. White label approach we pursue means there are no restrictions when it comes to technology used, and that makes us a perfect option to get your business done. With the structure and experience we have, all you are required to do is define the goals and we are quite capable of doing everything else. Of course, we will be consulting you every step of the way in order to ensure utmost satisfaction with the final product. No matter if you are a brand or a retailer who wants to start operating online, or if you are a digital or marketing agency that lacks certain service capabilities – we are at your disposal. Feel free to give us a call or enquire about your needs via our website. 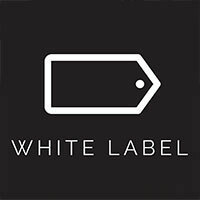 We will reply in no time, and you will be able to get all the information you need , concerning every single segment of our white label offer.